$49.26 $57.95 As Low As $0.58 ea. Set of embossed foldover note cards in our contemporary and excellent quality double thick navy stock. Size 5" x 4". White envelopes included. 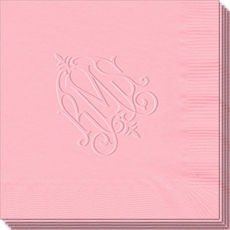 Monogram style only as shown. Return embossed address and optional envelope linings available.